Fortress Of Freedom Board :: View topic - G20: How Could We Be Treated Like This! 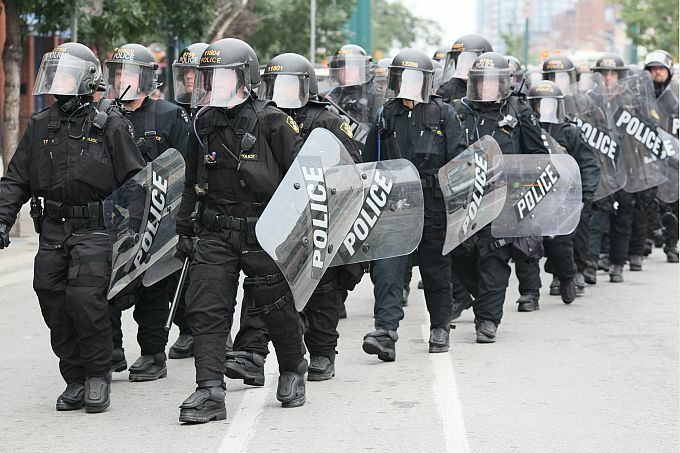 G20: How Could We Be Treated Like This! Posted: Sat Jul 03, 2010 8:18 pm Post subject: G20: How Could We Be Treated Like This! 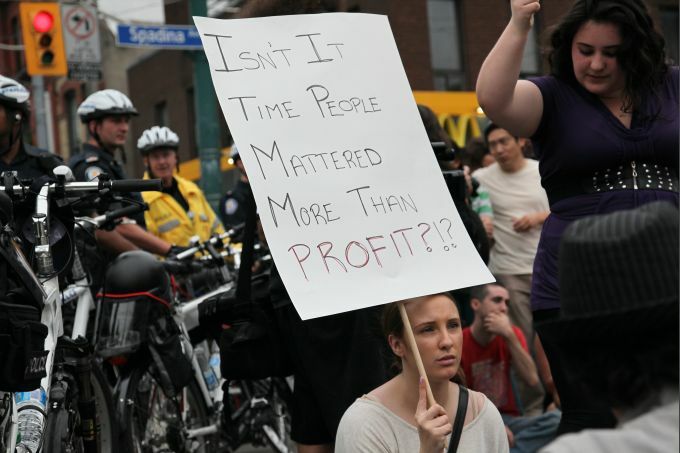 Toronto, Canada - It was June 27th, 2010 at Spadina Avenue and Queen Street (in downtown Toronto) and I'm just photographing the protestors sitting peacefully at the intersection with signs and chanting various messages they wanted to convey. The intersection had roughly a few hundred protestors as well as non-protestors, resident on-lookers and photographers including CTV News. It wasn't until about thirty minutes after the intersection was completely full of people that we noticed ourselves being surrounded by a brigade of police coming from one direction, then another, then to our amazement fully trapped. I had a sinking feeling something was going to give. Guns, batons and shields and non-smiling police officers in the hundreds were staring us down. The ordeal started here and we were trapped in the intersection and the police would not say a word to us for the next several hours! We would stand there for over four hours in the hard rain which was complete torture if you had no umbrella. The shivering and teeth chattering was apparent after three hours. I could not believe this was happening to us. I could see police plucking people out of the intersection and matching them with the previous days surveillance footage. I believe they thought some trouble makers that slipped through the cracks on Saturday (during a labor protest where a group vandalized many businesses and torched police cars) would be back at it this Sunday and the police wanted to pick them out of the crowd. One by one they were tediously taken away while we still were never told anything. Many of us were actually getting status updates of the "lock-down" through loved ones tuned into the news at home. Even a CTV reporter Michelle Dube was not immune to this police trap. She had to make calls to allow herself to leave, you could just see frustration and anger in her face. She was eventually allowed to leave after maybe an hour or so. The rest of us were angry watching police have rotational shifts, warm buses and food, and this made us very angry. We were totally treated so poorly. How could we be treated like this! I found myself huddling under an umbrella with three other guys and it was the only way I could keep my sanity from the incredible amounts of rain. Many of my fellow "detainees" were smoking and it actually made the air under the umbrella that much warmer. This was the first time I actually liked second hand smoke! Eventually after four hours the police officers opened their massive human wall of intimidation and let us free and they still never said a word to us, just like the gates of freedom opened and we all had a sigh of relief.